Owning an animal is a huge responsibility, one that should not be taken lightly. However, occasionally people fall onto hard times and cannot bear the thought of giving up their pets due to a short-term crisis. Additionally, sometimes people in tough situations find themselves with a new companion, typically an animal that was picked up as a stray. If you have found yourself in either situation, know that there are short-term ways to help pay for your pet’s care. If you need help for a limited period of time, such as while you find a new place to live or work, approach a respected rescue and inquire whether they can place your dog with a foster family. Rescues are happy to help pet owners keep their animals if at all possible, and if a foster is available the rescue will surely oblige. If you are struggling to feed your pet on a regular basis, visit a local food bank and ask about dog food. 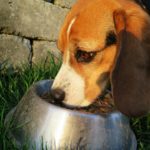 Pet food banks are also available (typically in larger cities) whose sole mission to help people feed their companions. To find a food bank in your area visit the Save Our Pets website. If you have a specific need for your pet, such as help with vaccinations or medical care, talk with a local animal shelter or rescue. Many have funds in place for these situations. If you are living on the streets because the local homeless shelter will not take your dog in, too, know that some shelters will provide a space for pets. An all-around great resource for helping people who have fallen on hard times find care for their pets is Pets of the Homeless. If you can no longer afford luxuries that your pet typically enjoyed and are afraid she will feel un-loved, get creative at home. Instead of expensive treats, make your own by dehydrating fruits, vegetables, or meats in the oven. If you are struggling to provide food every day, look into your cupboard to help bridge the gap. 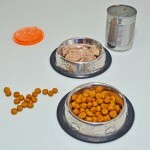 Rice, canned vegetables, and meat are a good dog food substitute. For toys, make your own by braiding together strips of fabric or socks. If your pet requires medical treatment that you cannot afford, be up front with your veterinarian and ask for a payment plan. If this is not feasible, seek treatment from a low-cost option, such as a local veterinary school. Inquire with an animal shelter about free or subsidized vaccinations and spay/neuter neuter surgery, as well. 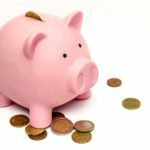 Finally, research whether you qualify for CareCredit, which is a veterinary financing program that allows low-income pet owners to pay for veterinary bills through interest-free credit. 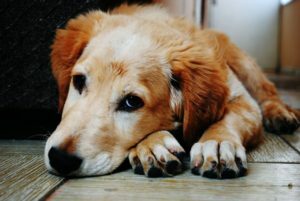 Ultimately, there are many options available for pet owners who are struggling to make ends meet. Before attempting to re-home your dog, first exhaust all of the options described here.